You rented to this family that you were confident were good honest people who will make themselves a home in your property for several years to come. You did a background check on the Virginia court system and they turned out to be crystal clean. Not a single crime, eviction or any form of debt owed by them. What a lucky find you thought to yourself as you left your lease signing meeting. These ones are good. And they absolutely love the house. You and them walked through it and thoroughly inspected it to ensure everything is in good working order. Their kids are also remarkably well behaved for their age. Finally some good residents in this particular house that has seemed to be a continual source of problems. 3 months go by. Rent has been early every month. Then the 4th month comes and you haven’t heard anything from them. No rent payment, no text or call to let you know that there is an issue. So you contact your tenants several times and there is no answer. Maybe they have a different phone now because there is no voicemail. You send out a 5 day pay or quit notice as required by law in Virginia when a resident is behind on rent. You still hear nothing from them. The only person who ends up contacting you by mail regarding this property is a city code enforcer. Wow, what a nasty letter he sent. And they didn’t even call. You had no idea that there was even an issue. You are now being held liable apparently for damage that the tenant caused to your rental. That same code enforcer was in the house right before they moved in to do a rental inspection. And after completing a list of nit picky items you passed your inspection with flying colors. Your insurance company came out and did an inspection as well a few months prior to this. They gave you a little list and you completed it. And a little over a year ago your house had a section 8 inspection for the last tenants. The point is, your house has been inspected time and time again. It’s actually one of the nicest houses in the neighborhood considering the fact that the owner occupied property around it has never been inspected. You find it extremely irritating to get this love letter in the mail from code enforcement that threatens they will fine you $2,500 and put criminal charges on you for renting an unsafe property to these poor tenants. Especially considering the fact that that particular code enforcer was just out there a few months ago giving you a rental exemption certificate. They know exactly what kind of condition that the house was in when they passed it. And instead of holding the tenant responsible for the damage that they caused to the property, they threaten you with fines and criminal charges. You look at the list of extremely unsafe items that they listed to warrant such extreme action and you see a very small crack in the sidewalk that they are calling a trip hazard. It was there during the initial rental certificate inspection and neither you nor the code enforcer noticed it then due to its insignificance. But since the code enforcer now is working with the tenant to destroy you it has become an issue. They also listed one outlet in the house that went bad. So there is one legitimate complaint. 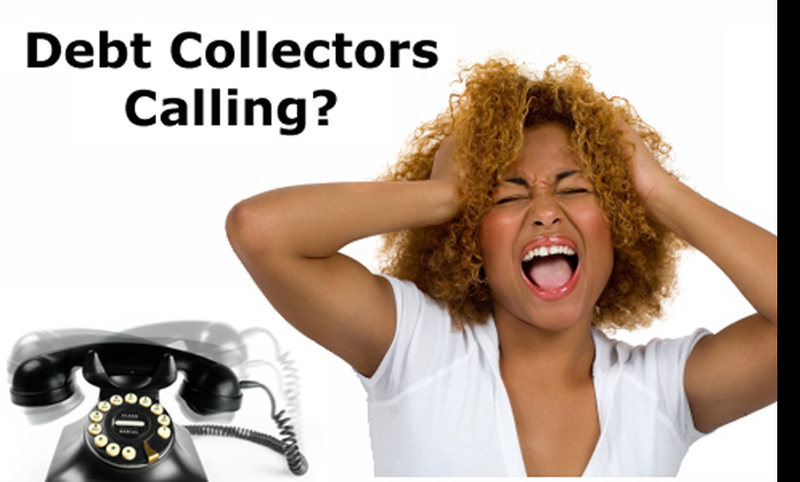 But nothing that should require anything more than a phone call so you can send maintenance over to take care of it. Ohh, and an outlet plate that is missing off the wall. It was there before. There are also smoke detectors that have been taken down and a couple missing globes off the light fixtures. The tenant says you rented it to them like that but that code enforcer knows that they wouldn’t have passed it the first time without them. But they are there to protect the tenant from you not protect the tenant from themselves. So they wrote you up for it. Especially since missing globes off light fixtures is such an extremely dangerous situation. Don’t you love living with this degree of tyranny? I don’t know how I would even run my life without the government guiding me through it. They also wrote you up for moldy caulk in the bathtub. Apparently the tenant doesn’t know how to clean as that caulk was brand new when the rental inspection was done. And they wrote you up for some roaches too. Roaches that also weren’t there when they moved in. You have in the past talked with their supervisor and he doesn’t agree with you that the tenant should be held accountable for their own actions. You also have talked to the city manager and several city councilmen about it. They also don’t agree that the tenant should be responsible for what they did. “Because it’s ultimately your house.” That’s what you keep hearing from these clowns. You still haven’t heard anything from the tenant and you refuse to go in the house and fix a single thing that they have done to it while they are living in there. If you did they will likely damage it again. They aren’t paying their rent and obviously by the way they are ignoring you they have no intentions of doing so. So the 5 days passes and you quickly file your Unlawful Detainer to put them out. You get a court date set for a month later. Over the period of time of waiting for court, you get a second love letter from the government. This time it’s from a police officer beating on your door. He is trying to hand deliver the note to you and confirm he brought it with your signature. Personal hand delivery is required for criminal charges. Turns out this was a promise to appear in court from the lovely code enforcer. Your court date comes with the tenant and they don’t show. You are thinking you have a default judgement against them. Finally, this is over. But when you get called to the bench, it turns out that the court accepted a letter from the tenant contesting any amount owed. Because they are saying that they shouldn’t have to pay anything to you considering the conditions that you made them live in. They said the reason they had to send a letter is because their boss wouldn’t let them get out of work. So the judge sets a contested trial 3 more weeks down the road. That’s as close as he could set it since they are short handed on judges. You’re now almost 2 months into this without a dime of rent. And you’re still making your mortgage payment, tax payments, insurance payments and every other cost of owning the house. That code enforcer is still getting paid with those taxes you have been struggling to get together as well. It’s just you that’s not getting paid. And it’s sucking the life out of all of the good paying properties. The profit from them is having to be used to cover the losses from that deadbeat tenant and deadbeat code enforcer. And the future losses of advertising it for rent again, fixing the list of new items that the code enforcer gave you, as well as another good cleaning and paint touchup, dump fees for the crap they left behind, etc. The damages and bills far exceed the 1 month deposit you got. A couple weeks alter and we are now at the criminal court case against you. You tell the judge there that you are in the process of putting the tenant out and once they are out you will jump right on any issues they caused. Fortunately the judge grants you an extension with no fine allowing you some more time to get this taken care of. The code enforcer was nasty in court. Acting like they didn’t just check the place and showing all of their court pictures to the judge. You are trying to be nice because you know that the judge doesn’t like it when you retaliate against the government. They prefer that you just shut your mouth and act like a good little boy or girl and do as you are told without questioning the motives of the code official. So minimization of the drama and good behavior is how you handle yourself. Even though you feel like you are really getting the bad end of the stick and are not being treated fairly. Finally…. the trial date is here. You had to hire a lawyer because your property is in an LLC. And you can’t legally defend your LLC on a contested trial date. You could go on your own but you wouldn’t be allowed to cross examine the tenant and ask them questions. You also wouldn’t be allowed to subpoena the code enforcer or whoever you need to support your case. If you wish, you could go without a lawyer and serve only as a witness for your LLC. But you have a much higher chance of getting beat by this deadbeat so you just opt to throw down more money and get the lawyer. The tenant gives this big story of how you’re a slumlord and how horrible it was living there. They seem to have forgotten how happy they were when they moved in. And how they filled out that move in inspection report and wrote that everything was in good condition. They proceed to show the pictures of the damage that they caused. And this is why they tell the judge they shouldn’t have to pay anything. The judge knows what they are doing. They see it all the time. They ask them why it was that they moved in if it was so bad. You ask the judge if the court has received money via tenants assertion to be put in the courts escrow account. It is required that if a tenant has a maintenance related issue, they pay the court their rent and the judge decides who gets it. This shows goodwill on the tenants part. It shows that they do have the money for rent and do want to pay it. That they just would like some issues taken care of. I have quite a few units. And I can tell you that in the past 10 or so years that I have been doing this, not a single time, has any tenant put money in escrow with the court. And not a single time has the court scolded the tenant or sided in my favor as a result of them not following the law. However I can assure you that if a landlord makes a single mistake, such as forgetting to send a pay or quit notice or filing the Unlawful Detainer a day early, the court will immediately dismiss the case and side with the tenant. It’s not a fair even system. So the judge says that they haven’t put money in escrow as far as he or she is aware. And tells the tenant that they can’t expect to live in the house for nothing. The judge ends up giving judgement to you after knocking off some of the money you are rightfully owed. I guess to make it seem to the tenant that they were being fair. They also grant you regular possession. Which means that they have 10 days to appeal the judges decision to start the whole process of getting a free ride in the house all over again. So you wait for the 10 days and file your Writ of Possession to get the deputy out there to put them out. As long as they haven’t filed an appeal. You had to file the Writ because even though you have judgement the tenant still refused to move out. And believe it or not, you can’t legally go down there and start moving their stuff out of your house. You also can’t turn off any of the utilities that you have agreed to have in your name. Even if they aren’t paying rent. Even if you have judgement against them. You can’t turn them off until they are out of the house. So they are having a party right now with your furnace and the windows. This is one reason why you NEVER pay peoples utilities. Maybe the water if it’s a multifamily house. That’s it! The tenant has decided to hold down the fort and get every last day of free living off of you. A few days after filing your Writ of Possession, the deputy calls you and sets the date. And 2 to 3 weeks after that, the scheduled final day is set. You are now at close to 3 months since you have got a dime of rent from this property. And it’s going to take you a couple weeks after they are out to get it fixed back up. As well as a few more weeks to a couple more months to get it rented again. Hopefully they don’t go back to the judge and get a “Stay”. Which is a thing that has been happening lately in Roanoke City. This is where the tenant tells the judge some sort of sob story and the judge cancels your Writ of Possession you waited so long for and sets another court date to rehear the case yet again. The life of a landlord is not easy ……. Landlording is definitely not an easy form of investing. It actually can require MORE physical attention than any other investment that I am aware of. Other than a full blown business that you have hired yourself as an employee of as well as investor / owner. However, if you take this seriously, and run your real estate investment like a real business, you can profit tremendously from your efforts. MORESO than any other industry that I am aware of. That’s as long as every single thing is done correctly. Critical components to this investment are that you bought it right and got the price down low enough where you were able to obtain a good cash flowing property. Don’t listen to these fools that would call looking for a cash flowing property bottom feeding. Being a smart investor is not bottom feeding. That’s ridiculous. Buying property that doesn’t cash flow can only successfully be done by the rich. Just because it doesn’t cash flow doesn’t mean that it isn’t an investment. Consider the fact that cash flow isn’t your only income from a property. There is what is called unrealized income. Do remember that your tenant is also paying off your mortgages as well as future repairs, taxes, insurance, etc. However, those that aren’t wealthy and are blindly riding by the seat of their pants who buy non cash flowing properties will within a few years get chewed up and spit out by them. Beyond buying cash flowing properties, good landlording also requires being quick to take people to court when they are behind. Send your pay or quit notices out right away and file your UD’s as soon as you can. And a good landlord will treat evictions like the plague. When you see there is one you put all of your attention towards getting rid of it immediately. You stop the bleeding promptly without any hesitation. The rest of your life can get put on hold to work around the critical dates. Critical dates being the date you send out your pay or quit notices once rent becomes late, and the 5 to 6 day later date you fill out and file your UD’s. After all of that work you had to do to get that nasty deadbeat out. After being treated like a piece of garbage by the city employee who doesn’t realize or care that you pay their salary. They have taken their position of power to a mini dictatorship level. And after all of that time getting run around in court with these games that your tenants and code enforcement like to play together. It’s nice to……. Finally…….. get the Sweet Justice you so greatly deserve. It’s time for your payback to that tenant that put you through the ringer. And that’s where our Tuesday night meeting comes into play. We’re going to have or member and friend, Alvin Franklin speaking this week. Alvin has mastered the art of debt collection. And he is licensed to do collections in the state of Virginia. I have been told by several of our members that Alvin is really good at skip tracing these people. Running them down to find out where they are working. Alvin is going to talk about a few things. He’s going to talk about what he can do for our group regarding chasing your bad debt. He’s also going to talk about investment potential with him by investing in other peoples bad debt and letting him collect on it while working out some kind of split between you and him of the profits. And with the skip tracing capabilities that Alvin has, he also has the ability to do thorough background checks on prospective tenants. Alvin is going to cover those bases as well. So it’s going to be a fun meeting. You should consider getting there a little early to get a seat. There should be a good crowd of people. P.S. - If you know of a place that has some more room, and wants our business, please let me know at the meeting. We’re coming into our busy time of year and it’s going to be too small in our currant location throughout the winter. * Serves all kinds of alcohol, hard alcohol included. * Can hold ideally 90 people or more. * Has reasonable prices for food. * Full menu. Does not want to limit us to 3 or 4 pre chosen meals. * Is Ok with taking the good with the bad, some of our members refuse to tip or order anything. Although most order and tip well. We don’t need suggestions of what places MIGHT meet the criteria. It’s a lot of work to go around contacting the managers and talking to them all about it. And there is no paid person working for REI to do it. It would be better if you just kept your eyes open and if you notice a restaurant you’re already eating at, that has a good sized room that could hold us, ask for the manager and tell them the good and the bad. Ask them if they are interested in our business and let me know if they are.